Book Review: 1984 by George Orwell | What Does Mel Think? This is probably a slightly unconventional choice to review on a blog like mine but hey I'm going to give it a quick review anyway! But I promise NO SPOILERS, because I think this is worth a read for anyone. This book is obviously highly valued in the world of literature and I feel like anyone who would totally slander it is missing the social message hidden between the pages. Orwell actually published this in 1949 predicting what life would be like in 1984 which is so interesting and insightful especially since I have just finished a history course studying Stalin's Russia to the Cold War. To begin with I didn't really get where this was set as there were huge references to Russia's totalitarian regime from 1929-1953 such as the continuing 'Five Year Plans'. However, Orwell predicted that this would spread to England and communism would triumph over capitalism. As this definitely did not happen, it is really interesting to see the alternate universe of what would have happened if it did. It was also really weird to see how much Orwell's novel has impacted our modern society, for example the tv shows 'Big Brother' and 'Room 101' are both references to '1984'. Big Brother is the leader of the society who is all seeing, which somehow got transformed into D-list celebrities trapped in a house, smoking and drinking whilst we all watch them. 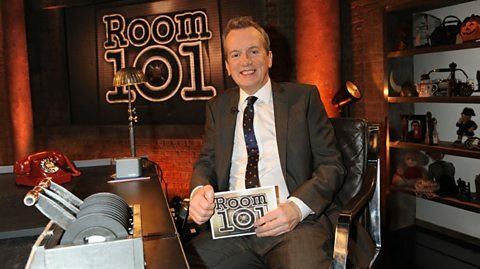 Yet you can see where they were going with it... Room 101 is a reference to a place where those who defy the leaders of society and they are forced to face their worst fear, again this was represented in a show where three celebrities moan about things that annoy them such as 'Welsh people' in one case. I'm sure this wasn't quite what Orwell had in mind when writing but it is really interesting that the ideas of this novel are so prominent today without us even being aware! In general, '1984' demonstrates the luxury of freedom of speech and creativity, even if you haven't ever studied Communist Russia this is really interesting to read to gain an insight into what we very narrowly escaped. The fact that Orwell predicted this would happen shows that it was a very real threat! Okay, the literature side of me escaped for a bit there. But seriously just read it! If you have then leave a comment with your reaction to it, everyone I speak to seems to have a different idea about what it means! This sounds like an interesting book, I am always opened minded to reading all sorts! It's one where you have to really concentrate when you read it, but it's really interesting if you like history or politics :) Let me know how you get on if you do give it a go!